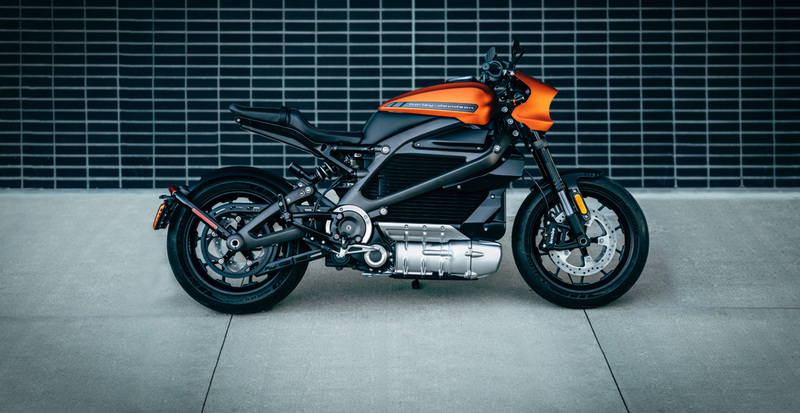 Recently Harley Davidson made their first production electric bike, the “Livewire”, available for purchase at just under $30K MSRP. Prototypes of the bike were first shown to the public in 2014. Subsequently, the bike went through five years of technical development and revisions. The big question is, will the Livewire herald the arrival of a bright new future for Harley Davidson? Harley Davidson was founded in 1903, a time when personal motorized transportation was a faraway dream to most people. Folks walked or used horses over dirt roads to get around, hoping bad weather didn’t turn their paths to into a muddy quagmire. Harley’s early motorcycles were little more than bicycles with engines, with limited range and reliability. A rider needed decent mechanical skills to keep the bike running. "Who would buy one of these newfangled motorbikes? ", many people asked. "There’s nowhere to ride them, nowhere to fuel them, nobody to fix them, and you can’t travel far on them. They might be the future, but the future is still too far away.” This was a popular belief in those days. The first purpose-built “filling station” wasn’t even built until 1905 (and the second one came two years later!). Buying a motorcycle in the early 1900’s truly qualified one as an “early adopter” - Harley Davidson produced just roughly 150 bikes in 1907. But even with what seemed like impossible challenges in front of them, Harley wanted to make motorcycles, and bikers wanted to ride them. Of course, personal motor transportation completely changed life in the 20th century. And 116 years after the company was founded, Harley Davidson is still making history. Into that history quietly roars The Motor Company’s first electric motorcycle, The Livewire. Will being an early adopter of this new Harley be as much of a challenge as riders faced in 1905? Hardly. First off, Harley has a massive dealer network around the world, supported by a robust aftermarket community. And there are roughly 50,000 EV charging stations across the USA, that number swelling with the growing popularity of electric cars. The electric vehicle future isn’t that far away at all. The biggest challenge of being a Livewire early adopter might just be coming up with the $30K to buy one. The bike certainly has features riders of all skill levels will find intriguing. It’s electric, so of course, there’s no gear shifting, no clutch, you just twist and go. Zero-sixty comes in just 3.5 seconds; that’s supercar-level performance. The Livewire can be plugged into any standard outlet and get a full charge overnight, but it also supports Level 3 DC Fast Charging. It’s got fully adjustable Showa suspension, a feature very few petrol burning HD’s include. Key rider information is displayed via a touchscreen display. 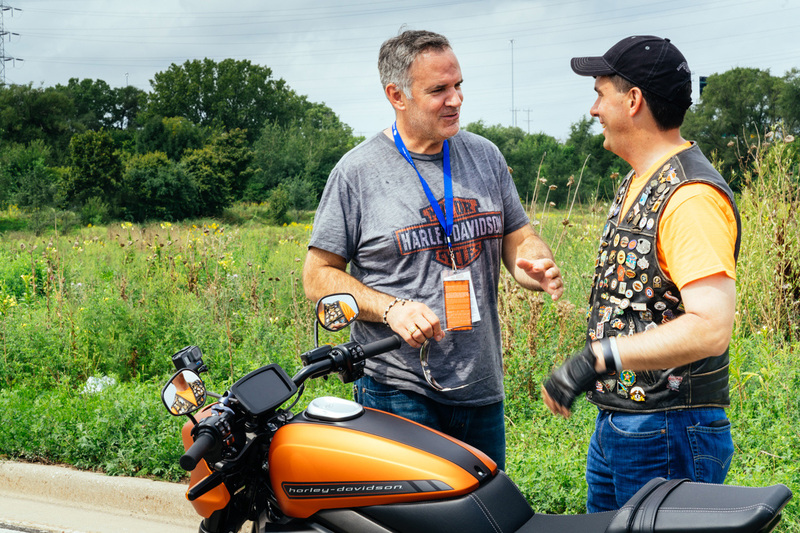 And Harley has developed an "HD Connect" app that provides GPS location, battery level, service reminders. Plus, unlike a lot of electric motorcycles, the Livewire looks good - form has not been sacrificed on the altar of function. It promises to be a superb vehicle for urban riders - which is also a way of saying that long distance touring isn’t the Livewire’s ideal mission. But the Livewire looks finished, polished, and is an undeniably serious entry by HD into the electric motorcycle marketplace. And EagleRider will be along for the ride, as the Livewire becomes part of our fleet, available at select EagleRider locations. Want to get some seat time on this next generation Harley and form your own impressions of the electric future? Rent a Livewire from EagleRider and find out for yourself just how capable it is. We also have the Zero Motorcycles S available for rental at select locations, so you could do your own ultimate electric motorcycle comparison. Livewire will be available for rent from EagleRider in the upcoming months.